Sequels are rarely better than the original, are they? And when you string an idea out for a third or fourth instalment, it’s often a sign that a once-grand idea is now long past its sell-by date. On first inspection, it can certainly seem that way with the Mercedes A Class. The original A Class (1998-2005) was remarkably innovative, and even its successor (2005-2012) did things differently – and in some ways better than – the competition. The third-generation A Class (2012-2018) was rather less recommendable, though. More stylish and mainstream, yes, and a considerable sales success to boot. But, objectively, it was never a match for its main foes, the Audi A3 and BMW 1 Series. Which brings us right up to the present day and this fourth-generation A Class. Logic might lead you to assume that it's probably nothing special but, without wanting to give too much away, that isn’t the case at all. In fact, it’s really rather good. 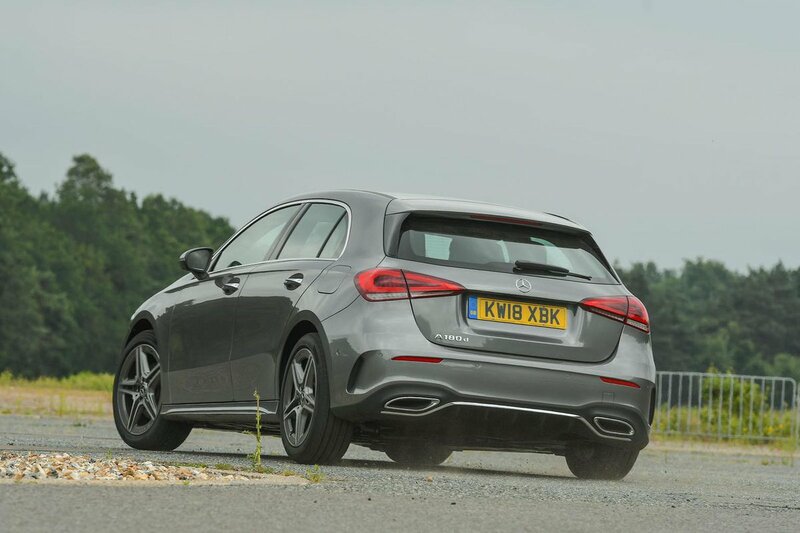 No matter whether you're after a (relatively) affordable petrol, a super-frugal diesel or a seriously rapid hot hatch, the A Class range offers something for you. 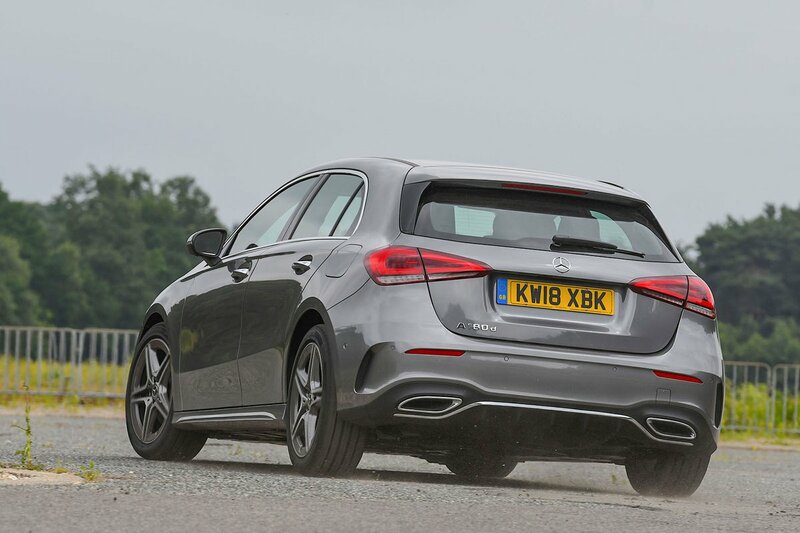 But there are plenty of other fine family hatchbacks to choose from, so how does the latest Mercedes A Class compete with rivals – particularly those that wear an equally posh badge? 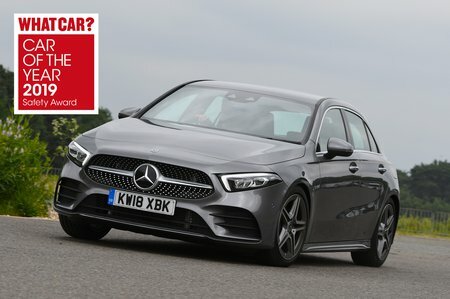 Click through the next few pages and we'll tell you everything you could possibly want to know, including what the A Class is like to drive, what it's like inside, how safe it is and the engines and trims that make the most sense. We'll also run you through the options that we'd recommend you consider adding. And if you decide you want to buy a Mercedes A Class we can help you with that, too: just click here to find out how much you could save on the brochure price without any awkward haggling. Petrol fans have a choice of two 1.3-litre engines: the A180 and punchier A200. Even the cheaper of the two, which produces 134bhp, rarely feels out of its depth, even if you do need to work it quite hard to get the best from it. Meanwhile, the 161bhp A200 has similar characteristics, but is properly nippy. On top of these, there's the A250, which uses a 2.0-litre petrol engine and packs an impressive 221bhp – enough to get it from 0-62mph in just 6.2sec. This makes it a close match for a Volkswagen Golf GTI in a sprint and, thanks to plenty of urge at low revs, it still feels pleasingly brisk when you’re not thrashing it. The 114bhp A180d diesel isn’t very quick (0-62mph takes 10.5sec) but performance isn't noticeably more lethargic than in the equivalent Audi A3 1.6 TDI. And unlike some diesels, the A180d delivers its power progressively rather than in one big rush when the turbocharger kicks in. We’ve yet to drive the more powerful A200d and A220d. If you're wondering about the performance of the range-topping A35 AMG hot hatch, click here for our bespoke review. The previous-generation A Class wasn’t exactly famous for its smooth ride but, thankfully, this latest model is a lot more relaxing. It's certainly a more comfortable choice than the BMW 1 Series, which is decidedly choppy – particularly if you choose an M Sport model. The differences in ride quality between the A Class and most versions of the Audi A3 are fairly minor – the A Class is a little less settled at high speeds but generally more supple over patchy town roads – but the VW Golf remains the most comfortable car in the class. Of course, resisting the temptation to big alloys to the A Class is advisable if ride comfort is a priority. However, even the relatively sporty A250 model is surprisingly compliant, no doubt partly because it has more sophisticated suspension than the cheapest models in the range. If you're wondering about ride comfort on the range-topping A35 AMG hot hatch, check out our bespoke review. The A Class handles pretty well. Yes, there’s a bit of body lean through faster corners, but this happens so progressively that things never feel unstable during quick changes of direction. It runs out of front-end grip quicker than the sharper-handling Audi A3, but we'd happily recommend the A Class to keen drivers over the 1 Series. Even the steering impresses; it builds weight in a natural way as you turn in to corners, and the fact that it’s always accurate allows you to place the car just where you want it on the road. It’s also light enough to ensure town driving isn't a chore. The A250 (and the AMG Line version of the A200) come with a more sophisticated rear suspension set-up that’s designed to improve handling. Our experience of the A250 is that it corners flatter and grips harder than cheaper variants of the A Class. It’s not quite as sharp as a VW Golf GTI but, judged as a quick yet comfortable luxury hatch, it’s rather appealing. If you're wondering about the handling of the range-topping A35 AMG hot hatch, click here for our bespoke review. Refinement isn’t the A Class’s strongest suit, especially if you choose the A180 or A200. Their 1.3-litre petrol engines are rather boomy and generally a bit uncouth, especially when you work them hard. By contrast, the diesel engine in the A180d is smooth and quiet by the standards of most rivals; it's smoothest at low-to-mid revs but does sound a little strained higher up. The more powerful A250 comes across as rather more cultured, combining smoothness at low speeds with a fairly sporty rasp if you work it hard. The A35 AMG, meanwhile, sounds racier still. The six-speed manual gearbox that's standard on lesser versions of the A-Class is a little notchy. However, automatic versions choose their gears wisely and promptly most of the time.